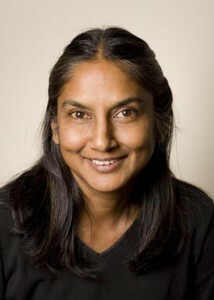 “In a small place like Guyana,” Janette Bulkan states, “we can only save tropical forests with collaboration from the global North.” If we in the global North do not begin to prioritize global ecology, if we do not stop the importation of tropical hardwoods, then temperatures will rise even faster. The people in NYC who most ought to be listening to Bulkan’s advice are the heads of the Departments of Transportation and Sanitation, Commissioners Sadik-Khan and and John Doherty, respectively. Under Sadik-Khan and Doherty’s leadership, these agencies are preparing to import immense quantities of greenheart from the rainforests of Guyana. Bulkan is someone who knows a thing or two about forests. Her great-grandparents had come to Guyana from India as indentured sugar cane cutters, and their children—her grandparents—had established a succession of sawmills in rural areas. Bulkan was born in a sawmill compound, her childhood spent in the forest, and she tells people, “I have sawdust in my veins.” She’s currently a doctoral candidate at Yale University’s School of Forestry and Environmental Studies. Bulkan is too humble to acknowledge how brave a choice this was. She didn’t have a lot of positive things to say about some very powerful players, including the Guyanese Forestry Commission and multinationals like Barama, an Asian logging company that, before traveling half-way around the world to gut Guyanese forests, devoured much of the forests around Asia and the Pacific rim. Barama earned a reputation for human rights atrocities in the process. “Corruption is easily affordable,” Bulkan says of the political climate in Guyana. “The State itself behaves as a criminal enterprise, allowing the available technical regulations for improving forest management to be ignored, or used selectively against those loggers who lack political influence….Weaknesses in government organizations are exploited, especially by private sector enterprises, when detection of malfeasance is low, chances of prosecution and conviction are negligible, and penalties are derisory.” She notes that Barama, which owns the largest number of timber concessions in Guyana, is a key player in the corruption and crime. When prodded, Bulkan acknowledges that she’s received heaps of hate mail and even threats. But the officials and companies and mercenaries whom she’s exposing do more than just talk. In March 2006, Satyadeow Sawh, the Minister for Forestry, was gunned down at age 50, along with two of his siblings and a security guard. He was a popular official, interested in social justice. His death was a political assassination, a warning to those who would dare to speak out against government corruption and criminal syndicates. “The magnitude of illegal logging and sawing is difficult to quantify,” Bulkan acknowledges, “and neither the sources of information nor the locations are in the public domain.” Bulkan decided to change that. “Informants risk their jobs and perhaps their lives to provide evidence,” she says of the hundreds of people she interviewed on the sly. Despite the danger to them (and her), Bulkan was able to use their individual observations to reveal one of the most comprehensive glimpses of how widespread illegal logging in Guyanese forests is. Not surprisingly, Bulkan sees a direct link between sustainability and the need for “a strengthened democracy” in Guyana. The Guyanese Forestry Commission states that they are the only agency in the world with “a complete national log tracking system,” that their wood products “can be traced directly to the stump of the tree [they were] taken from.” This certainly sounds environmentally advanced. But the reality is that the GFC does almost nothing to enforce this system and is, in fact, deliberately ill-equipped and under-armed to do so. Logging companies know they face no chance of prosecution and that GFC agents rarely, if ever, actually go out into the field. So these companies regularly “wash” felled logs with forged “timber tags” to disguise wood taken illegally from indigenous land or cut beyond mandated quotas. In fact, criminal logging operations are so large and multi-faceted that they’re connected with trafficking in drugs, guns and humans, as well as money-laundering. Bulkan notes that out of 33 long- and medium-term logging concessions issued from 1985-2005, only 5 were still operated by the original Guyanese licensees; 4 were acquired by known criminals; 19 were held by or illegally rented to several Asian-owned logging companies; 1 was rented to US-based Conservation International and not logged; another was exclusively for heart-of-palm harvesting; 2 were inactive; and the last was theoretically inactive but was probably used fraudulently to “legalize” timber that had been illegally cut elsewhere. “Effectively,” Bulkan says, “all forestry in Guyana is in natural stands.” She means pristine rainforests. These criminal enterprises aren’t removing trees from plantations; they’re devouring one of the largest remaining wilderness areas on the planet. Widespread smuggling in Guyana is no secret. What is less known is that, unlike narcotics, illegally cut timber becomes legitimized through various importers, so much so that our NYC governmental agencies have no way of knowing if they’re purchasing greenheart that funds criminal syndicates. 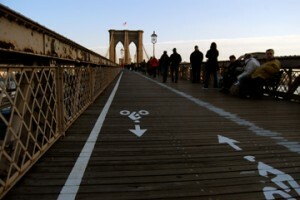 The NYC Department of Transportation has imported greenheart to build and renovate the promenade of the Brooklyn Bridge. In addition, they use greenheart for ten thousand-plus pilings in the Staten Island Ferry docks. Each piling is over 60 feet tall and comprised of a single greenheart tree trunk. 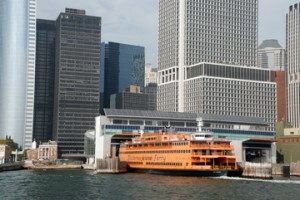 The DOT is currently gearing up to rebuild the docks of the Staten Island Ferry. Unless we convince them otherwise, they will be ordering another mass shipment of rainforest wood. DOT Commissioner Janette Sadik-Khan has done so much to increase bicycle transportation and public space in our city. But we don’t think she should be allowed to offset those carbon credits with the destruction of one of the last contiguous tropical wilderness areas on the planet. Ultimately, it will be her decision to gut these tropical forests—or save them. We want her to know that pilings made of 100% post-consumer plastics would do the job just as well as tropical woods, if not better (just ask the Army Corp of Engineers). 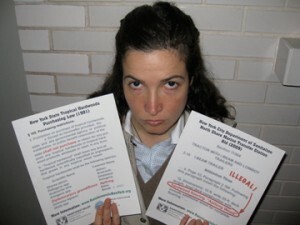 Please contact Commissioner Sadik-Khan and tell her to invest in the future. Right now, the Department of Sanitation is planning on using large quantities of greenheart to build three new marine transfer stations. This is an unnecessary waste of our planet’s natural heritage. In addition,for a recent waste transfer station bid, DSNY specified apitong, a rainforest wood banned by New York state law. Years ago, DSNY Commissioner John Doherty completed New York City’s “Top 40,” a program that recognized and developed the future leaders of our city. The question that we have for him is, are you ready to really lead our city into a responsible future? To put behind you and the department an outdated and ecologically devastating way of doing business? To set an example of appropriate development in an era of rapid climate change? Please contact Commissioner Doherty and tell him that now is the time to act.